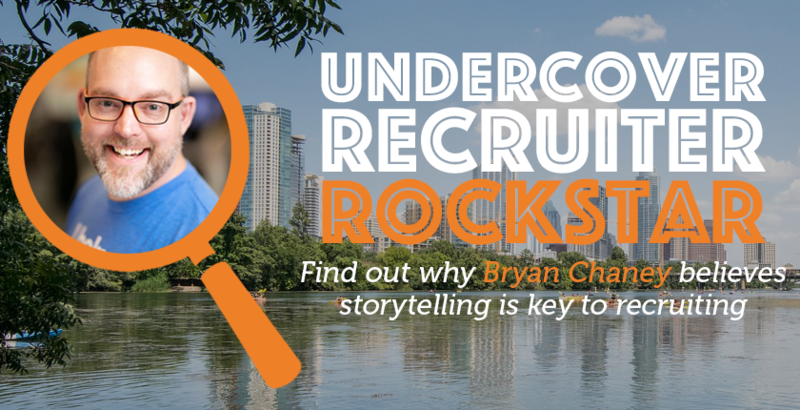 We speak to Bryan Chaney who has been in recruiting for over 14 years, focused on recruitment marketing and employer branding. He is the Director, Global Employer Brand and Talent Attraction at Indeed but comes from the marketing world so deeply appreciates how consumer marketing maps to candidate marketing. He loves this niche in talent attraction and the community of storytellers that comes with it. Why should clients work with you and your agency? As a leader of internal employer brand at Indeed, our clients are hiring managers and business leaders who need to attract talent. To do that well, you need a good compelling story about what makes the job or team unique. And I really enjoy digging into each employee’s story to learn what brought them to Indeed. When you’re shopping for houses online, you look for the best company, the best photos, location, and description of the home you’re looking to buy. As an employer brand team, we create graphics and videos to really show off the employee experience #insideindeed and help them share their own story. Which means that in a world of home listing photographs, we’re the equivalent of the 360-degree video tour. Like many tech companies today, we face a global shortage of qualified software developers, as well as sales talent. We are growing aggressively and my challenge is to help amplify our brand and reputation. Most people know Indeed for job search, but we need them to think of Indeed as a place to work and grow their career. I still see recruiters who don’t own and manage their personal brand. Potential candidates are scrutinizing us at the same time we’re screening them, and expect unparalleled transparency. Getting comfortable with sharing who you are is now critical to engage people who don’t know why they should trust you. Our number one source of hire (like many organizations) is internal employee referrals. But as for the external source of hire driving inbound traffic, that’s absolutely Indeed. We’re lucky that we get to try all of the products in beta to see what’s working that’s new and fresh. We recognize that sometimes we also need to color outside the lines to make people notice, like sponsoring tech podcasts and hosting movie screenings. For me, the toughest problems happen when I’ve started working without a plan, and without communicating that plan to my internal support team. I’m talking about HR leadership, Marketing, and the recruiters and sourcers who are doing the work every day. When you start early with your stakeholders, they will work to get you what you need, because your success (hiring) is in their best interest. You don’t just need to know how to fish, you need to think like one. There are many reasons why people buy/bite and understanding them will help you reel them in. Show off your personality. Your candidates are looking at you, and they want to know, like and trust who you are. Personalize your outreach to let people know that you care about who they are, and you’ve done your homework. Quite simply, don’t use the same words that everyone else uses. We use Avature CRM and ATS for applications and to manage long-term relationships with our candidates. Hootsuite helps us manage the @insideindeed social media channels and increase community engagement and EveryoneSocial for employee advocacy and amplification. For our jobs, we use Textio to analyze and improve the job descriptions for gender balance, and soon we’ll be piloting VideoMyJob. I’m impressed every day by the members of the Talent Brand Alliance, which Will Staney and I co-founded. It’s a community for sharing ‘next practices,’ and continually building a network of employer brand peers and knowledge. Being successful in a developing field can be intimidating, but knowing that you can lean on people with challenges just like yourself, is simply inspiring. Fundamentally, we have to get better at transparent communication after the application. We know how to advertise jobs, how to reach out to potential candidates, and how to drive inbound traffic. But once we’re assessing and reviewing candidates, as well as interviewing them, most of the communication grinds to a stop. I predict that communication about the recruiting process will improve drastically in the next year. Whether chatbots for Q&A or machine learning for automating candidate status updates with real-time feedback, we will get closer to treating the recruiting process like a normal human conversation.